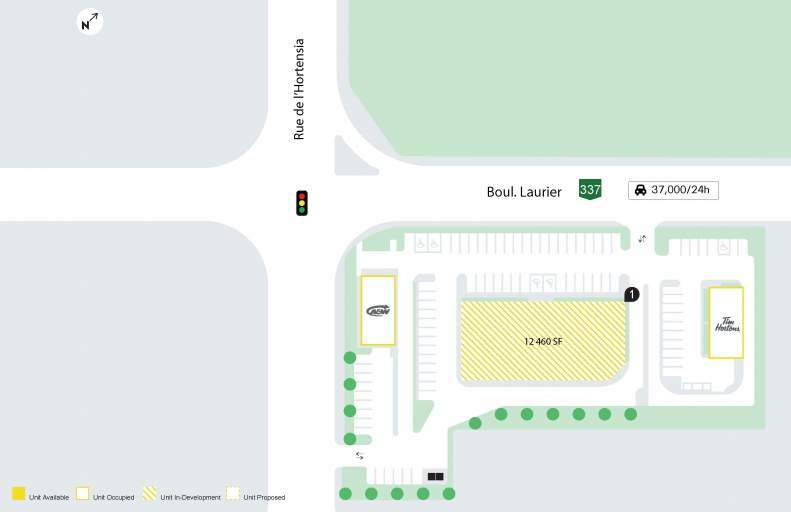 On the main crossroads of the area, Centre La Plaine is situated to capture retail traffic at a traffic-light-controlled intersection that sees more than 37 thousand vehicles a day and is in a trading area with a population of nearly 50 thousand people. The area is seeing strong population growth projected at 7.1% between 2017 and 2022, mainly young families. The centre is strategically positioned adjacent to a Maxi supermarket and is in close proximity to the local high school and the area's sports complex and civic centre.